Betty Kang ~ DJ Micro is one of the most respected performers on the U.S. trance circuit and a true veteran of the East Coast club scene. He is constantly pushing himself with his non-stop touring and nearly annual album release schedule for his devoted fan base. Tech-Mix 5 gives you just a taste of the adrenaline DJ Micro brings with his live sets, so get ready to be engulfed in peak time madness on his upcoming U.S. tour. 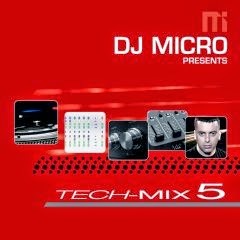 For more information about DJ Micro, check out DJMicro.com, SystemRecordings.com, or PlexiPR.com.